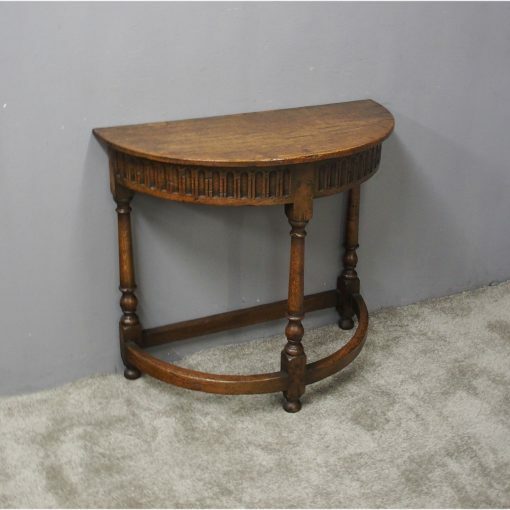 Circa 1900, Jacobean style rustic oak side or hall table. 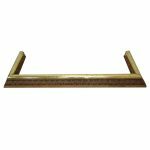 With a distressed finish and protruding dowels, the bow front top is over a fluted frieze. This stands on bobbin and ring turned supports with a curved peripheral stretcher, finishing on neat bun feet.